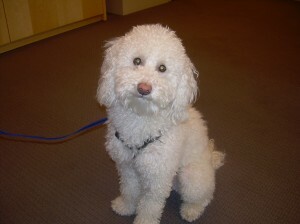 Meet Charlie, a Maltese poodle owned by Dockside Residents Steve and Marguerite. This very soft and fluffy poodle is fun loving and friendly; Charlie even holds “conversations” with you if you sit and pet him! If you’re a Pet Lover, you’ll love living at The Residences at Dockside! Summer at Dockside – A Vacation in Itself! It’s Show Time on the River! Olympic Fever? Grab Your Skates and Head to Blue Cross RiverRink this Weekend! Looking for weekend entertainment nearby The Residences at Dockside?